Be safe to crop, environment. 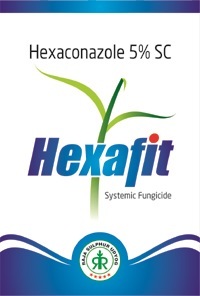 Appearance HEXAFIT 5SC : White cream color liquid. Toxicity Label Color: Blue (Moderately Toxic). Available in small packs and bulk packs.